jam jam . : Sequins and Sand Resort Wear :. We first fell in love with Jam Jam when we stocked their shoes over 5 years ago now. Simply stylish and oh so summer, jam jam's well priced sandals, flats, wedges and heels range from the bright, be-jewelled and be-dazzling to sophisticated go with anything neutrals. 'My shoes exemplify a designer a feel, without the designer price-tag. 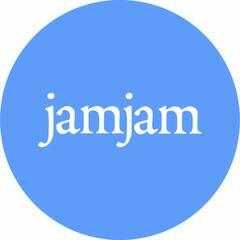 jam jam is an affordable luxury for women of all ages'. Marcia designs jam jam shoes from her Gold Coast studio and travels overseas often for inspiration and trend spotting. 'I base my designs on the fact a woman can be any size or shape or wear the simplest of outfit, but slip on a pair of jam jam shoes or throw a glamorous bag over your shoulder and you feel a million dollars." Forward 5 years and Marcia now takes that same approach and has extended her Jam Jam label to include beach dresses, tops, kaftans and casual dresses. It's fast becoming a well priced and sought after resortwear range too. Jam jam. Proudly online at Sequins and Sand.